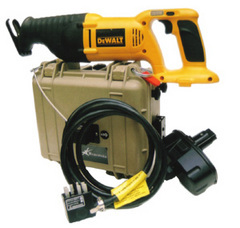 Power all your tools, lights & equipment that have voltage requirements of 18v or 36v. 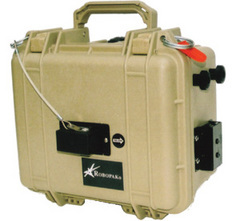 Small, compact, extremely portable and powerful, the XL 36v/18v Robopak® can be taken where you need it. With the proprietary Dual Voltage "Plug-and-Go-System," set up time is less than 2 seconds! Simply plug the tool into the voltage port and you are ready! 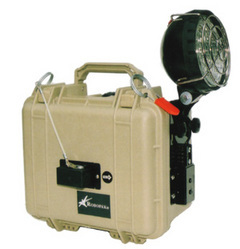 Encased in a heavy duty all weather high impact plastic casing with durable "O" rings and a shoulder strap, this Robopak also has a quick-connect side mount "super brite" flood light system (light is sold separately). Charge friendly, the XL 36v/18v can be recharged at any point of discharge and can be left on charge when not in use. Additional features include a refurbish program that will save you thousands of dollars.